Gravimetric WBB-S Series Batch BlenderAiming at the requirements of online and offline automatic blending , we develop batch type and continuous type metering blending devices with standard model and special application model to meet different customers’ demands, Our products..
Gravimetric Control SystemWe are gravimetric control system supplier and manufacturer in China. The plastic extrusion weighing system is installed on an extruder to measure and calculate the weight per meter and extrusion output, and also make automatic control,..
Ultrasonic Thickness Measuring System1. All key parts are with the highest standard technology . 2. The highest measurement precision can reach to 0.001mm, the minimum measurable OD:0.25mm, the maximum measurable OD:1600mm 3. Low consumption of measured power(<30w) 4. 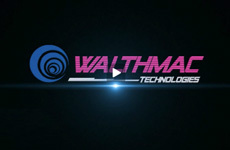 The..
Gravimetric Blending&Feeding SystemWalthmac is a professional manufacturer of gravimetric blending systems in China. The plastic feeding and blending system includes: gravimetric batch blender (WBB Series), continuous gravimetric blender (WCB Series), powder feeding..
Gravimetric WBB-H Series Batch BlenderAiming at the requirements of online and offline automatic blending , we develop batch type and continuous type metering blending devices with standard model and special application model to meet different customers’ demands, Our products..
Powder Feeding MachineThe WPB high precision powder feeding machine (powder dosing machine) is a dynamic system with the principle of weight –loss. The dosing volume can be controlled and modified automatically to keep it constant. For multi components dosing,..
Loss-in-Weight Side FeederBased on weight-loss principle, the feeding screw pushes the raw material within high precision dynamically as set value. Plastic accessories can be scaled-down or up to be coordinate with variation of main raw material, system is drived..
Material Conveying SystemThe material conveying system (MTS system) can provide many sets of equipments controlled with one conveying device for multi extruders centralized conveying of multi components. The workshop is separated from raw material transportation..
Name: WalthMac Measurement&Control Technology Co., Ltd. Address: No. 261, Feiyun Avenue, Export Processing Area, Hi-Tech Development Zone, Mianyang, P.R. of Sichuan, China.